On arrival at the Kochi Airport, depart for Munnar and reach by evening - 130kms in 4hrs. 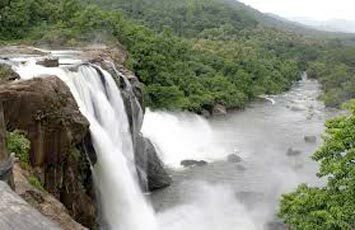 On the way enjoy beautiful streams, small waterfalls and thick forests etc. Check in at Hotel., Overnight stay at Munnar. After breakfast proceed for a full day Munnar sightseeing. 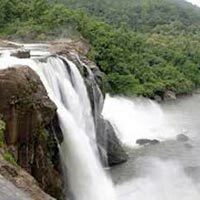 Visit Mattupetty Lake & Dam, Echo Point, Kundale Lake, Blossom Garden, Rajamalai, Eravikulam Wildlife sanctuary (famous for Nilagiri Tahr) and Tea gardens etc. Overnight at Munnar. After breakfast, proceed to Thekkady. Enjoy on the way sightseeing. On arrival check in at Hotel. After some rest, go for optional spice plantation visit, Elephant safari, Martial Art Performance, Kathakali Performance etc. Overnight at Thekkady. After breakfast, proceed to Alleppey, check in at Houseboat, it is the best way to explore the beauty of backwaters. Overnight night stay at Houseboat. After breakfast, proceed to Cochin. On arrival checkin at the Hotel. Visit The Dutch Palace, Jewish Synagogue, Jews Street, Chinese fishing net etc. Overnight stay at Kochi. After Complementary Breakfast depart for airport to board the flight back. Trip concludes.